The works of Russia’s writers and poets spread to all corners of the globe, inspiring a new set of literary geniuses. 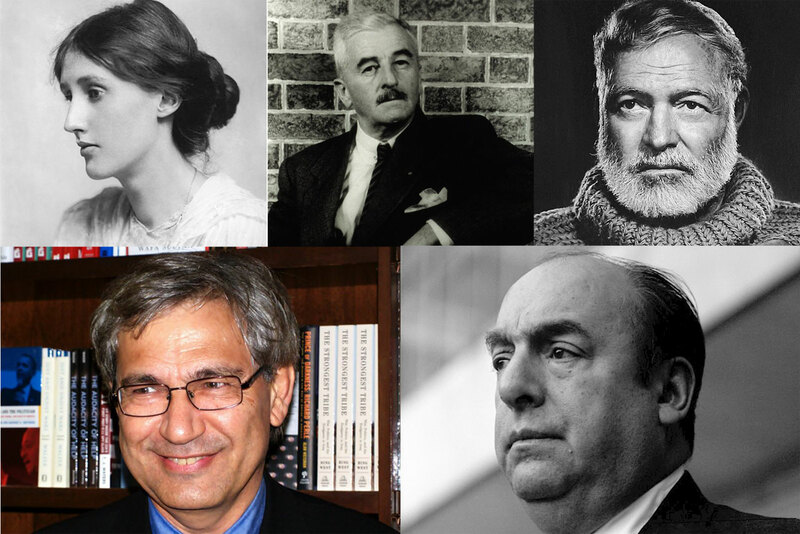 RBTH looks at five famous international writers who each were influenced by a particular Russian author. The modernist English writer was in complete awe of Leo Tolstoy, showering him with the highest praise. In her essay The Russian Point of View, Woolf called Tolstoy the “greatest of all novelists.” In the essay, Woolf explored the depth of the Russian writer’s works, making some sharp observations of her own. “From his first words, we can be sure of one thing at any rate — here is a man who sees what we see, who proceeds, too, as we are accustomed to proceed, not from the outside inwards but from the inside outwards,” Woolf wrote of Tolstoy. The influence of Tolstoy’s War and Peace and Anna Karenina on Woolf is visible in Mrs. Dalloway and To the Lighthouse. In Mrs. Dalloway, Woolf uses interior monologues to describe the memories of Clarissa Dalloway and Peter Walsh in a flashback format, showing clear traces of Tolstoy’s style. It just takes a cursory glance at Turkish Nobel laureate Orhan Pamuk’s works to see the strong influence of Fyodor Dostoyevsky. In his novel My Name is Red, Pamuk describes the Istanbul of the past in a way that echoes Dostoyevsky’s descriptions of 19th century St. Petersburg. While drawing parallels with Dostoyevsky, the Turkish writer said that like the great Russian writer, he was embedded his own culture that, unlike Western culture, has never been the center of the world. While praising the Russian playwright, the Nobel-prize winning novelist from Mississippi once famously said that it was more difficult to write a short story than a novel. Faulkner’s A Rose for Emily almost feels like a tribute to Chekhov’s The Lady with the Little Dog. Although the settings are vastly different — one story set in late 19th century Russia and the other in Reconstruction-era Mississippi — they share a common theme of obsessive love and each features a strong-willed woman whose values get in the way of happiness. In Hemingway’s memoir A Movable Feast, written about his years as a struggling writer in Paris in the 1920s, the great American writer and Nobel laureate mentioned that he read the works of Turgenev carefully. Hemingway lavished praise on the Russian writer, and Turgenev’s 1852 collection of short stories entitled The Hunting Sketches had a great impact on Hemingway’s writing. Turgenev’s The Hunting Sketches was an unconventional book that provided small glimpses into people, places and situations, and Hemingway took his cue from this when he wrote some of the greatest short stories of the 20th century. Mayakovsky’s futurist poetry, which moved away from the established norms by using raw language and showcasing common folk, found a large number of admirers, especially in South America, — including the Chilean poet and Nobel laureate Neruda, who was an admirer of the Soviet Union. Soviet-era writer Ilya Ehrenburg, who translated the works of Neruda into Russian, wrote that the Chilean poet developed a liking for Mayakovsky from an early age. Neruda was inspired by Mayakovsky’s “sincerity, rejection of conventions and his thunderous voice,” according to Ehrenburg. Neruda’s realist poems followed in Mayakovsky’s footsteps.